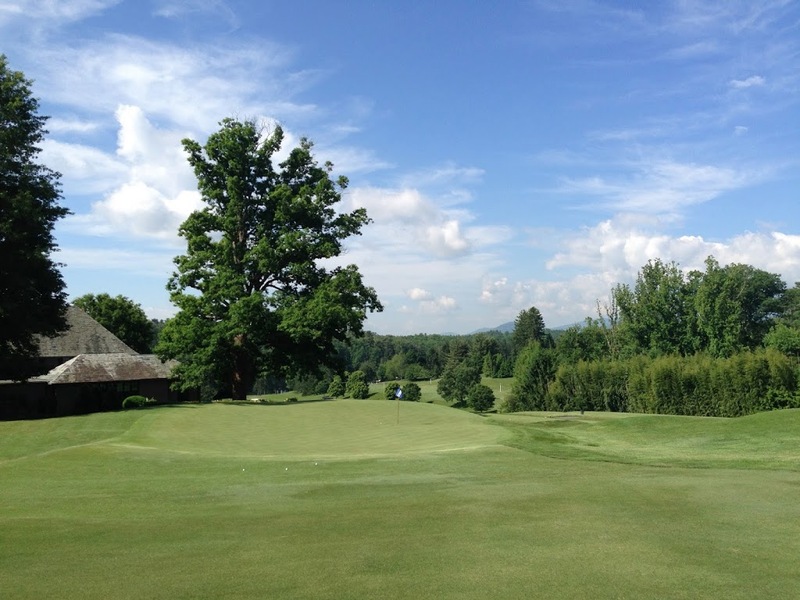 In 2015 Biltmore underwent a full course renovation. The photos below were taken pre-renovation, but they represent the course well. I will return soon to take new photos and update the post. Read more on the renovation below! Donald Ross left his mark on my North Carolina courses, but a few stand out as special among the others. Biltmore Forest Country Club is one such course. 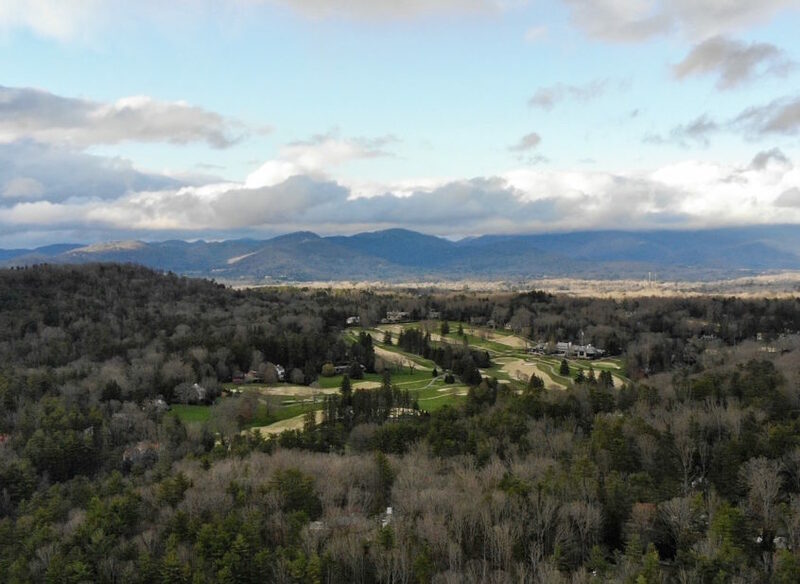 Built in 1922, the club was founded by the Vanderbilt family, who built their famous Biltmore Estate just down the road. 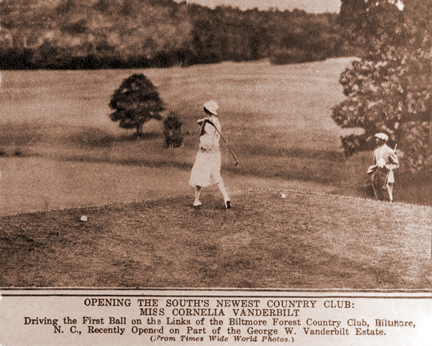 Cornelia Vanderbilt oversaw the creation of the club, which she opened with a ceremonial tee shot on the first hole. I am fortunate to call Asheville, North Carolina my hometown and Biltmore my home club. I grew up walking distance from BFCC and I learned to play golf on the course at a very young age. I can thank many of the generous members at Biltmore for encouragement and mentoring in both my golf game and life in general. 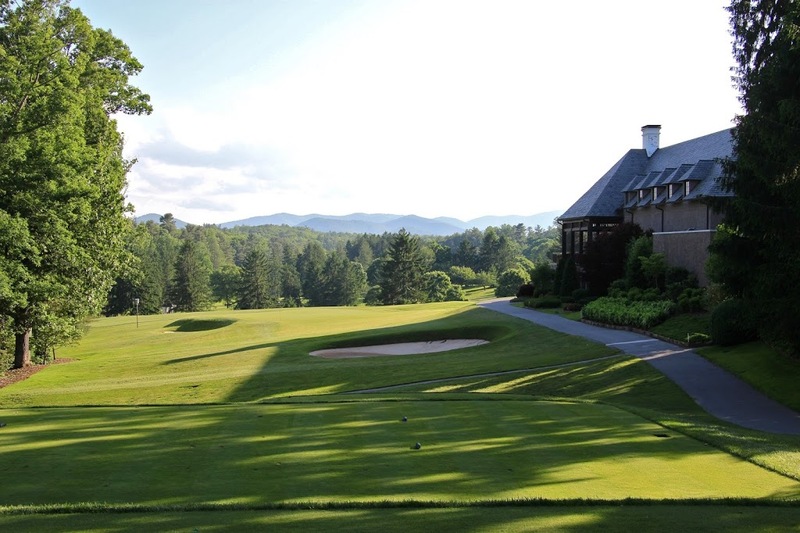 The club’s history, membership, and course are unmatched in Western North Carolina. Biltmore is a private club located in South Asheville. 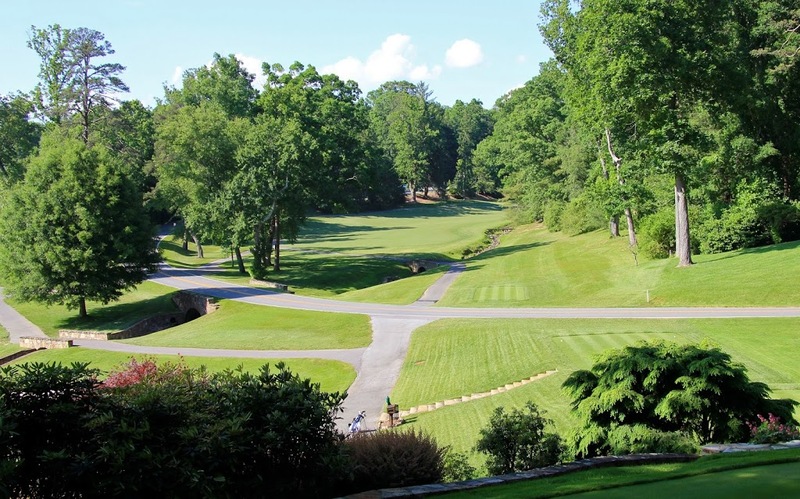 It is consistently ranked among the top 10 courses in NC, slotting in behind the likes of Pinehurst #2 and Wade Hampton. 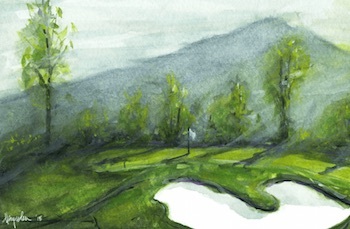 The course highlights many of Ross’s best-known design attributes: his use of the land, “naturalness” of the design, and difficult large sloping greens. 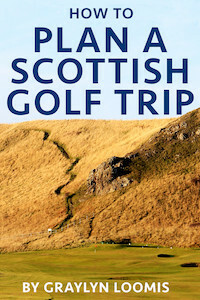 Typical of Ross, it is a short course measuring about 6,650 yards with a par of 70 from the tips. Various renovations have lengthened the course in areas, but an effort has always been made to keep the angles and original design intent as intact as possible. Big hitters can overpower areas of the layout, but unbelievably quick and sloping greens protect the course from being dominated. The view from the 2nd tee box. The view from landing area on the 2nd. The second hole at BFCC is considered by many to be the strongest hole on the course. 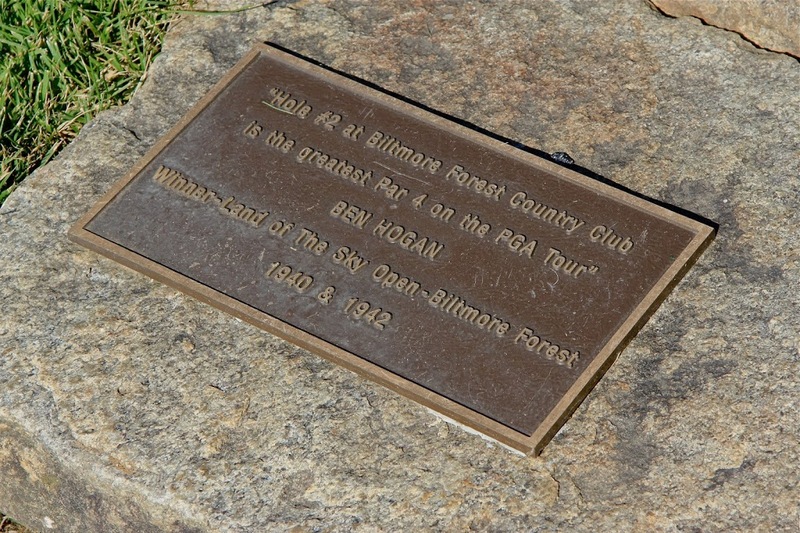 Ben Hogan is quoted saying, “The second hole at Biltmore Forest Country Club is the strongest hole on the PGA Tour.” Hogan made the statement at a time when Biltmore hosted the Land of the Sky Open, a PGA Tour Event. The event took place between 1933 and 1951 and Hogan won in 1940 and 1942. The second is a 450-yard, dogleg right par 4 with a creek running up the right side of the hole. From the new tee box, cutting of the corner is nearly impossible and a strong tee shot still leaves the player with an uphill, 200-160 yard approach. The greens slopes very severely back to front and anything above the hole is almost certain to be putted off the front of the green. As stated earlier, the protectors of Biltmore Forest Country Club’s course are the blazingly fast, incredibly conditioned bent grass greens. 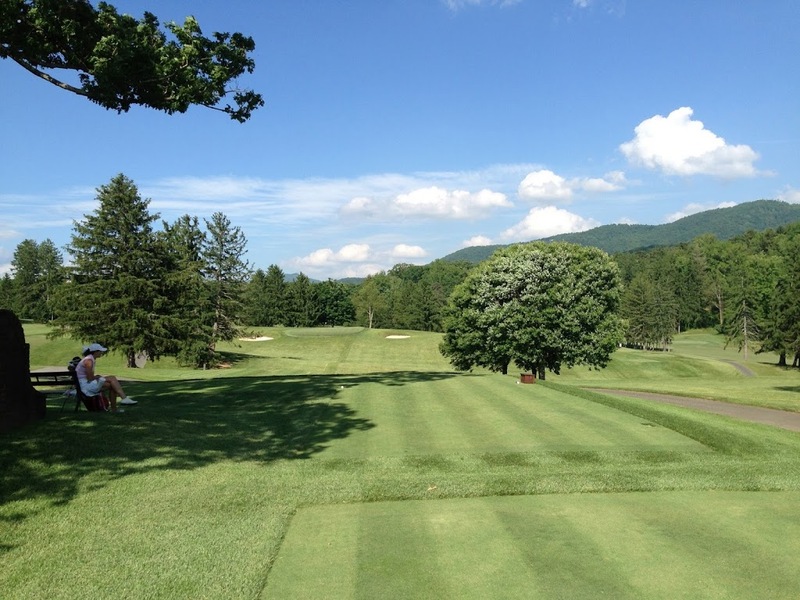 During season, namely during the Sweetser Memorial Tournament, they are the best greens in Western North Carolina. During the season, the greens can roll anywhere between 10.5 and 12 on the Stimpmeter with barely any imperfections. 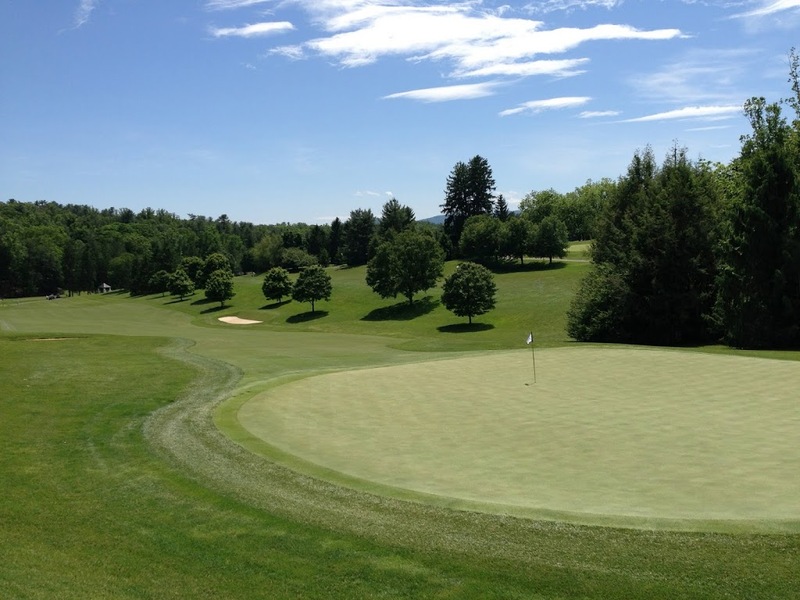 Depending on pin positions and the speed of the greens, the course can be made incredibly difficult. The final stretch of holes from fifteen onward is very strong. A good score can easily slip away coming back up towards the impressive clubhouse. During one summer at the club, I played with a member who shattered the course record, shooting a 61. He achieved the incredible score by birdying both the 16th and 17th, which is a feat something very rarely seen. A recent (2015) full renovation of the course took nearly every blade of grass back to dirt. Zion zoysia was placed in the fairways, new A1 bent grass was added to the greens, new irrigation and drainage were also added. Brian Silva also oversaw numerous new tee boxes and greenside runoff areas on both the front and back nines. The photos in this review don’t reflect the new renovation, but I will return to the course later this season for a new photo tour. 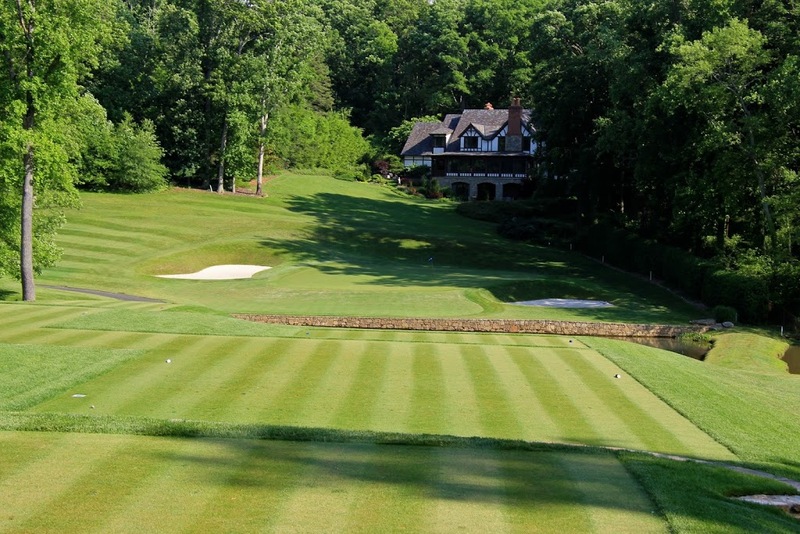 The club has played host to the 1999 US Women’s Amateur and the 2013 US Women’s Mid-Amateur. The course sets up perfectly for amateur events, but the length of the course rules it out for the larger men’s tournaments. One of Biltmore’s greatest characters is Sheila Fender, the Pro Shop Manager. Sheila has been working at the club for over 30 years and has contacts at nearly every golf club across the country and even the world. Sheila sets up shop in the small, traditional pro shop behind the practice green at Biltmore. The understated shop is similar to that of other classic Southern clubs and it is indicative of other amenities at Biltmore. Nothing is overstated. If ever given the opportunity to play Biltmore Forest Country Club, do not turn it down. 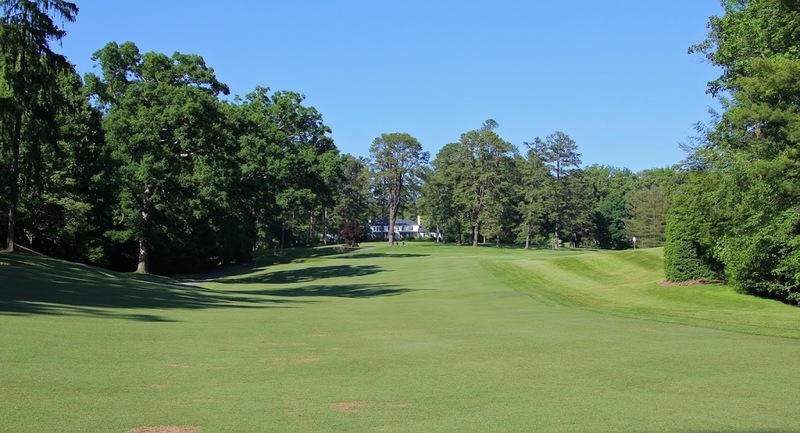 It is an example of an old traditional Southern country club and truly is one of Donald Ross’s hidden North Carolina gems. 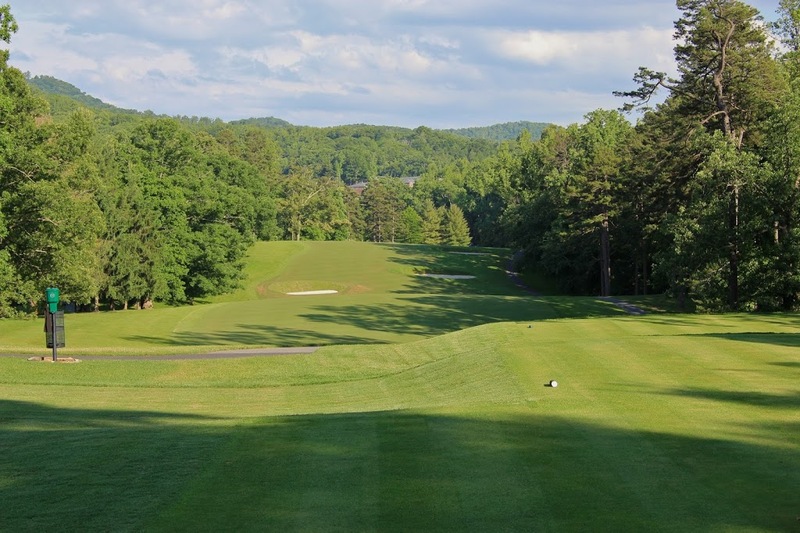 As it’s always been, Biltmore Forest is only great in the minds of the members. Too many goofy holes and the condition of the course is rarely great. Having the course ranked anywhere near the top 30 in the state is a joke, it’s not even the best Donald Ross layout in Asheville. I would love to see some posts from non-members, I think the description and love affair would be much less subdued. I will admit a bias considering I grew up learning to play on the course, but I would strongly disagree about your comments on poor conditions and weak holes. The greens are consistently the fastest and best in western NC. The fairways as of late have admittedly been poor and need work. Which holes are weak in your opinion? 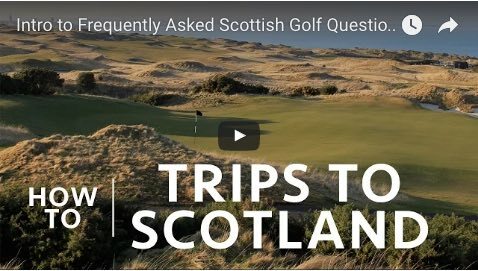 (edit: the fairways are amazing post-2015 renovation) It sounds as if you haven’t played the course enough to see Ross’s genius in the design. Which Ross design in WNC is stronger? I am a member of another Donald Ross course at Timuquana Counrty Club in Jacksonville, FL. 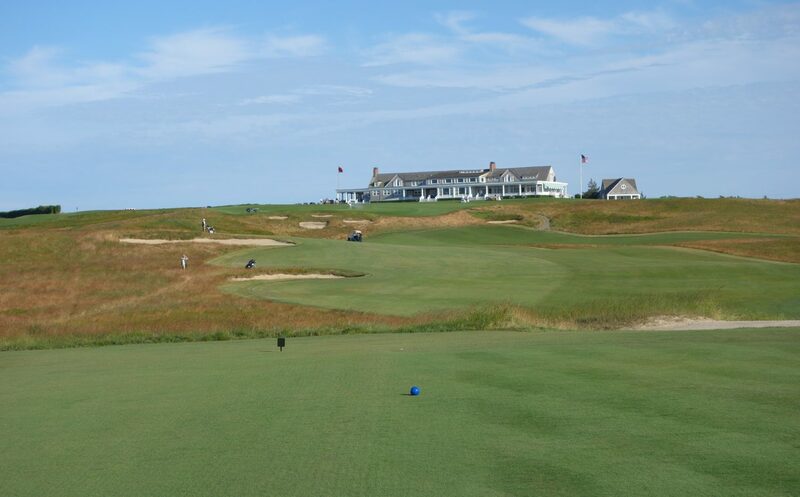 Coming from a non-member, I am lucky enough to play BFCC a couple times each Summer with my grandfather, and it’s always the best golf trip of the year. The course is always pristine. (If I was being very picky, the fairway on #7 can get a little beat up). The greens roll amazing and offer quite a challenge. As for the design, i love it. Vintage Ross with the domed greens and fun dog-legs. I agree it’s not the best Ross course in Asheville, much less the state. 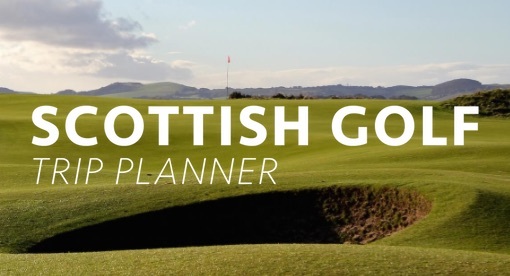 I admire that the membership takes such great pride in the place but the bottom line is that it’s very easy to get off over there and it’s not Augusta lore… I wouldn’t join for free and have to put up with the drama of that membership. 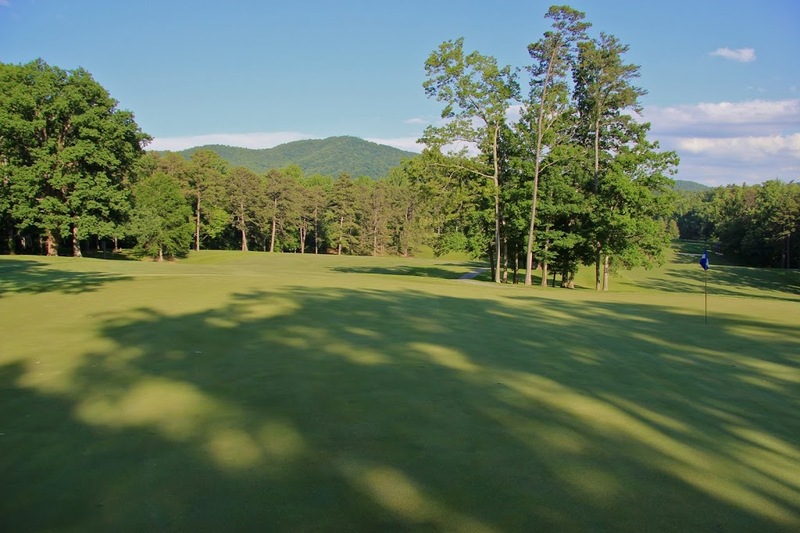 Which Ross course in Asheville is better than BFCC in your opinion? I certainly wouldn’t say that it is the best Ross in NC – Pinehurst #2 would grab that honor on my book. Looks like a very fun course to play. Hope I get the chance. Love the ‘classic’ Anonymous responses! Biltmore Forest is a little tougher to get on than most clubs for good reason. As much ambiance as any piece of property I have ever set foot on. 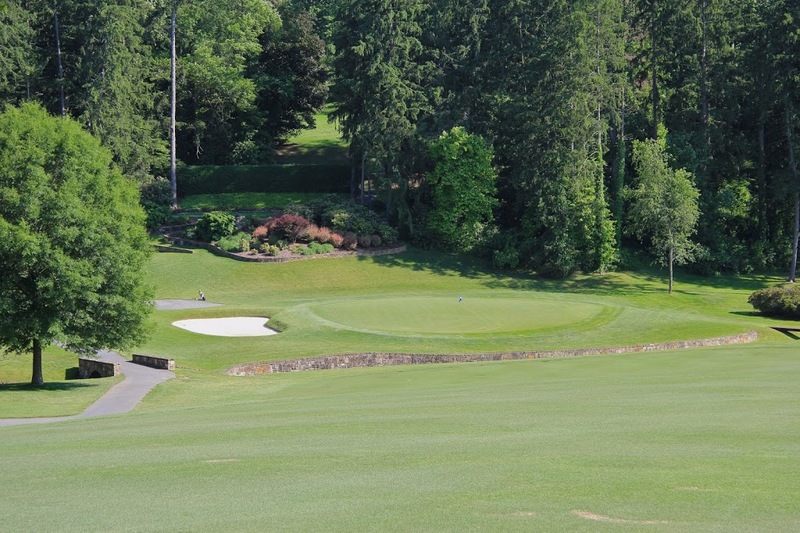 Having played Wade Hampton two weeks after a trip to BFCC, Biltmore’s routing, variety of shots, and resistance to scoring stood out as superior. Is it the best in NC? No, but it is certainly in the top 10. Silva’s recent work was nothing short of spectacular. #2, #4, #5, #7, #8, and my favorite hole #9 are a good mix. 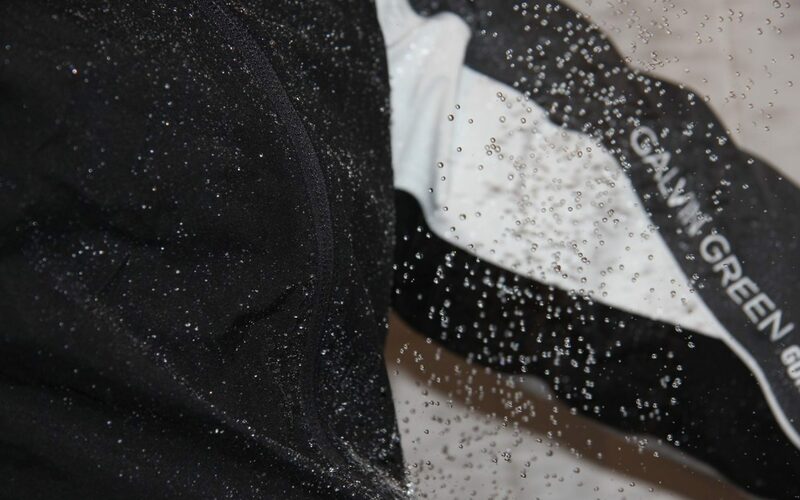 The back starts off with a breather before punching you in the gut. #10 green is one of my favorite Ross greens ever. #11 one of my favorite drives on a Ross. Greens are as quick as you could ever play and now more firm with the new conversion. Add in the Sheila Fender and you have one of the most memorable places to play you may not have heard of. It is truly a treat to get to play BFCC! Sept 2016. My wife and I just had the pleasure of being invited to play BFCC this week and it was a great experience. This was just after the recent renovation and we had never played the course before although we have played other Ross tracks. It’s a fun course to play and was in immaculate shape. 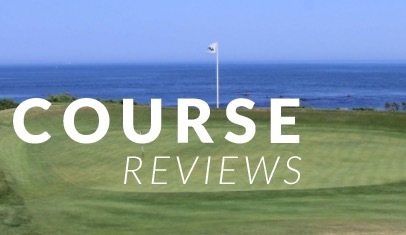 The fairways are unusually wide and deliver excellent lies. 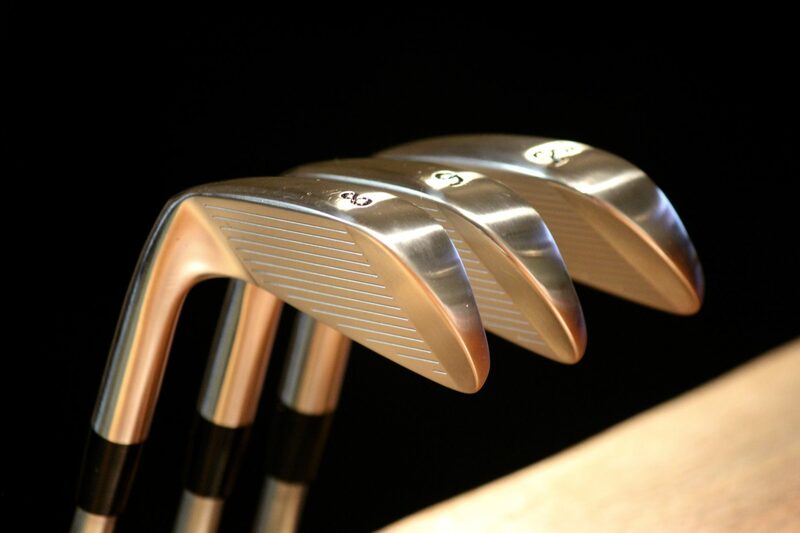 Numerous long and exacting par fours. I thought the greens were quite large on average for a typical Ross layout. I kept commenting on the tee boxes which were pristine, beautifully square and amazingly level. Greens were being aerated so we couldn’t appreciate the speed of the contours but we hope to see them again when they are their usual speedy selves. It was just a challenging and fun afternoon of golf. The clubhouse is dripping with ambience and many pictures and memorabilia take you back to the early twentieth century and the Ross-Vanderbilt era. A very interesting and historic walk back through time. The food was excellent, the service impeccable, and the staff were very cordial and accommodating. Great course review and photos! Looks like another beautiful Ross routing. I’m headed to the Grove Park Inn in a few weeks and would love to check it out. Any idea if they are open to reciprocal play? I’ve played a number of Ross’s courses in NC from Hope Valley and Highlands CC to #2, would love to add this one to my list! Played this summer. Fabulous golf course. Ross at his best. Immaculate condition. Some people just don’t understand design principles. Augusta wouldn’t be good enough. Sheila is worth the trip. She is responsible for much of the memorabilia in clubhouse. If ever get opportunity go.